Since Christmas became The Festive Season, and Australia Day became Invasion Day/Bogan Day/Hottest 100 Day (depending on your tolerance of cultural cringe), commemorating one’s religious beliefs or sense of national pride is no longer as clearcut as it used to be. SINCE Christmas became The Festive Season, and Australia Day became Invasion Day/Bogan Day/Hottest 100 Day (depending on your tolerance of cultural cringe), commemorating one’s religious beliefs or sense of national pride is no longer as clearcut as it used to be. Remember the days before nativity plays involved lobsters? And the Southern Cross was a constellation in the sky rather than a signifier of muscle cut singlets and race riots? Those were the days before celebrating ANZAC Day in Gallipoli was more a pilgrimage than an excuse to party. Digger hats. A donkey. Dawn. 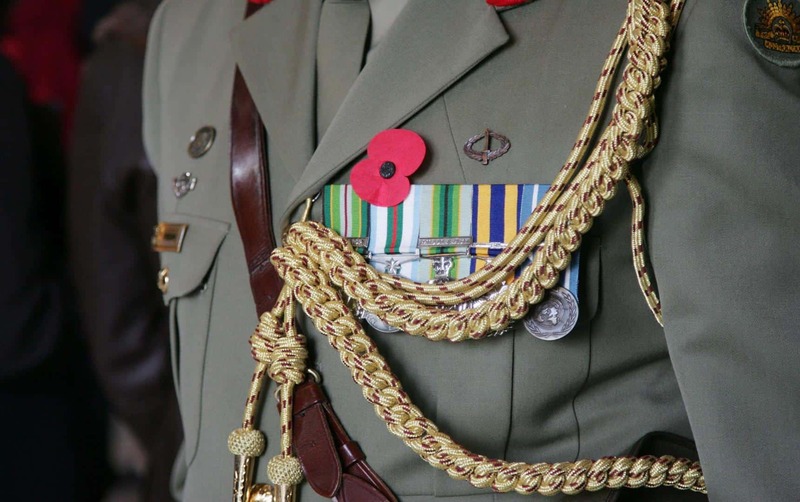 These were the first few things I knew about ANZAC Day. Other impressions in my childhood years include begging to be taken to the Dawn Service, and wondering at the sudden focus on the boring part of the park (the ‘nemorial’ I believe I called it). Speeches, wreaths, and marching tidily in our year group, envious of those wearing the medals of passed-on relatives. Struggling to understand, yet instinctively feeling the haunting pull of the Last Post. History classes gradually gave background to those medals and depth to words such as ‘sacrifice’ and ‘honour’ and ‘courage’. 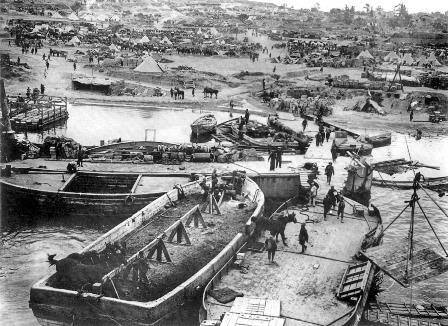 The myth of the ANZAC spirit was shaped by the mud of Flanders, the beaches of Gallipoli, the trenches of Paschaendale and the Somme. It was further cemented in the jungles of Vietnam, the tangle of the Kokoda Trail, the sand of the deserts. We knew the ANZAC spirit through Breaker Morant and Archie in Gallipoli. Drawling and laconic, the digger was full of grit and larrikinism. It embodied an irreverence mixed with perseverance and a dogged sense of pride in getting the job done. It was a pledge of mateship and loyalty, enduring sand, mud, flies, the dead, the dying, and the other unnamed horrors of war. It was a spirit that was daring in the face of danger, uniquely ours, forged in the fierce independence of our down under island nation. Something distinctively Australian. As years passed it became harder and harder to get up for the Dawn Service. While we understood better the reasons why we were not to forget, it seemed less and less important to show our respects properly. Rather than the Dawn Service, the diggers and their deeds were better commemorated with a schooner and a game of two-up at the local RSL. 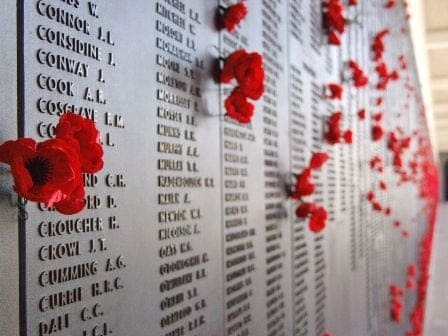 Since living in London, ANZAC Day and all it represents has taken on a different perspective. England honours its war heroes in consistent and obvious ways. Charities for returned servicemen have royal patronage, and form the majority of the rattling tin cans in tube stations. Red poppies, the symbol of Remembrance Day, are worn for weeks in the lead up to November 11. They form a prominent part of every celebrity’s outfit, from XFactor judges and contestants to Harry Potter premieres. Even the black cabs sport a poppy on their bonnet, as they nose their way between red buses. In direct contrast to this tradition are the stories about overseas Australians who ‘commemorate’ ANZAC Day with a tour to Gallipoli. The entire site of ANZAC Cove is now an alcohol free zone after the last few years of treating ANZAC Day like some green and gold music festival, with punters passing out between headstones and leaving the site full of rubbish. Living in a place that actually prefers marmite to vegemite quite naturally leads to an obvious externalisation of national pride. I saw someone in Aussie-flag budgie smugglers on Australia Day last year. He was outside. It was snowing. But let’s leave the shenanigans to Australia Day and make sure that we commemorate ANZAC Day with the gravity and respect it deserves. 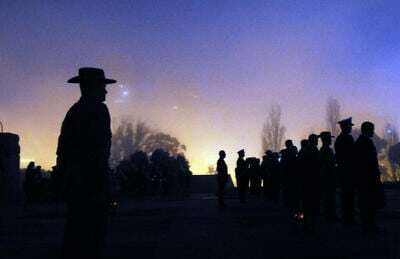 There’s the Dawn Service at the New Zealand War Memorial, at Hyde Park Corner. Or the 11 am Wreath Laying Service at The Cenotaph in Whitehall. At 12 noon, a Commemorative Service is being held in Westminster Abbey. If you’re lucky enough to be doing a tour to ANZAC Cove, then remember them. I’ll remember when I wake up too.